GRAEF-USA Inc., a full-service engineering, planning and design firm headquartered in Milwaukee today announced the acquisition of Waukesha-based Czarnecki Engineering, Inc. 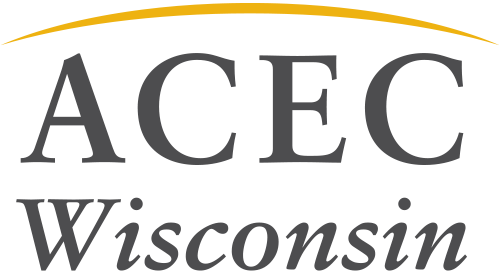 The acquisition will expand GRAEF’s services throughout the state of Wisconsin and across the entire country, further growing GRAEF’s nationwide project mix and meeting the market demand for high-quality electrical engineering services. For more than 30 years, Czarnecki Engineering, Inc., has been a leading, full-service electrical consulting and engineering firm in Waukesha, focusing on lighting, power and technology systems. The addition of these focus areas will strengthen and enhance GRAEF’s existing electrical practice. Erv Stern, formerly a principal with Czarnecki Engineering, will become the electrical group leader at GRAEF, and Alan Czarnecki, formerly president will contribute important guidance. Four additional associates will join GRAEF. “Adding Czarnecki Engineering's highly talented engineers to our GRAEF team is an important step in our search for top talent,” said Lori Rosenthal, Vice President & Director of GRAEF. “After meeting Alan Czarnecki and Erv Stern, it quickly became clear that they were a great match for our team. They each have diverse experience and have created a very strong, dedicated group. They are passionate about their employees, their work, take great care of their clients all while continually expanding their industry knowledge.” “This is a win-win situation,” said Alan Czarnecki. “Our firm and GRAEF are a natural fit. We look forward to continued growth and enhanced opportunities as we integrate into the GRAEF community.” Czarnecki Engineering’s employees will move to the Milwaukee headquarters and enhance GRAEF’s existing capabilities in Green Bay, and Madison, Wisconsin; Chicago, Illinois; Orlando, and Miami Florida; and Minneapolis, Minnesota.